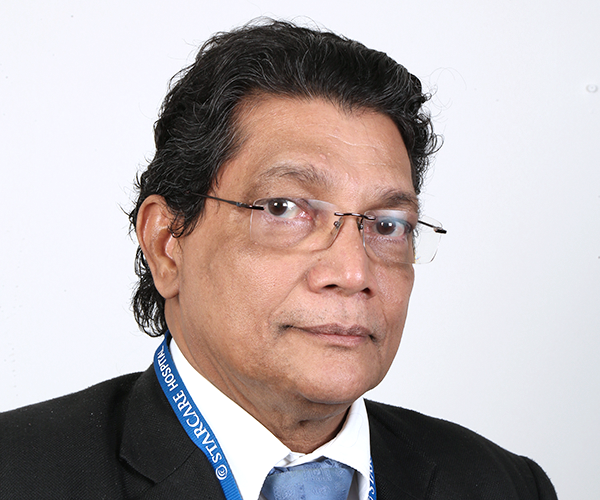 Dr M. Yusuff is a Senior Consultant in Internal Medicine, having more than 3 decades of experience is now part of the team of doctors at Starcare Hospital. He is highly qualified with FMGEMS(USA), is a Member of Royal College of Physicians(UK) and Fellow of Royal College of Physicians(London). Dr Yusuff has extensive experience in diagnosing and managing conditions relating to respiratory, rheumatology, neurology, cardiology, diabetes and endocrinology.